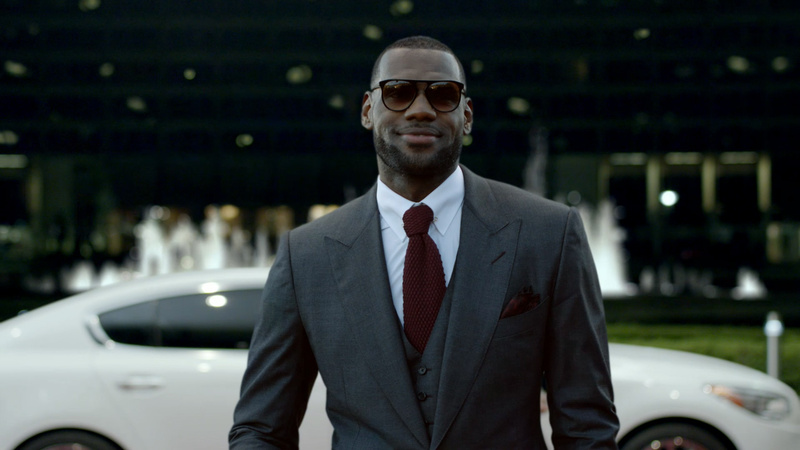 The NBA and Kia celebrate the extension of their partnership with the Fit For A King campaign starring LeBron James. LeBron rolls up at the wheel of his Kia K900 in 'Valet', directed by Stacy Wall (Imperial Woodpecker) in collaboration with David&Goliath and The Mill. LeBron's not the only crowd-pleaser in this spot. As the official vehicle of the NBA, Kia's first rear-drive luxury sedan has fans of its own. LeBron shows up at a red carpet affair and tosses his keys to a star-struck valet who can't decide what excites him more: King James or the front seat of his K900. Senior colorist Dave Ludlam of The Mill graded the spot to maintain a seamless look throughout. Ludlam comments: "The brief was to make the look overall classy. LeBron was shot separately on green screen, so it was important that he was embedded into the environment as smoothly as possible. Using cooler tones, I went for a stylish, luxe feel while maintaining that natural night lighting to complement the environment around him." 'Valet' premiered on opening day of the 2014-2015 NBA season. Director of Photography: Mihai Melalare Jr.